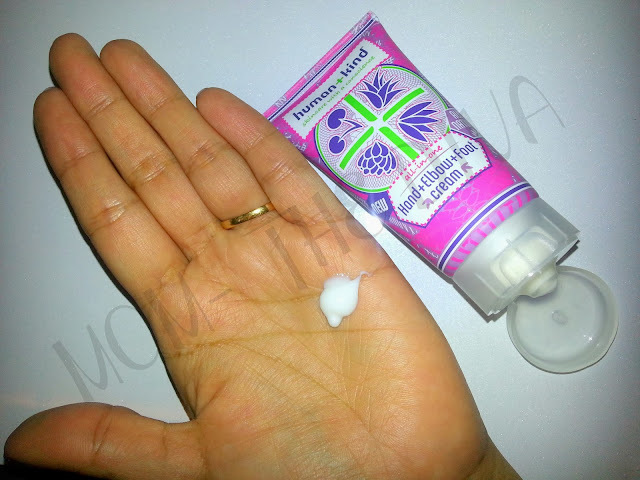 I received this Human+Kind All-in-one Hand+Elbow+Foot Cream in the Vanity Trove (To know more about Vanity Trove, read the post here). The first thing that I found interesting about the product is the brand name Human+Kind and the tagline skincare with a conscience. It is a brand that claims for products being simple, natural, dependable and multitasking... now who doesn't love multitasking products in this stressful life. Talking about the product, the packaging is also interesting with an all over floral pattern with a central medallion. Then comes the fact that this product is a multitasking product- All in One Hand+Elbow+Foot cream so there is no need for three or atleast two separate products. This cream claims of No Chemicals, No Colourants, No Parabens, No Perfume, No Additives, No Animal Testing, Dermatologically Tested, Hypo Allergenic, Suitable for Sensitive Skin and presence of 8 active ingredients- Avocado Oil, Cocoa Seed Butter, Shea Butter, Centella, Rosehip Oil, Calendula, Vitamin E and Aloe Vera.. The cream has a light creamy texture and is instantly absorbed on application. It is non greasy as well... :) I was a bit sceptical about its effect on drier parts like elbows and feet but it instantly moisturized these drier parts as well. It has herbal fragrance. Looks like a great product when you are travelling and don't want to carry a lot of luggage around. The 50ml tube will easily fit into your handbag. So, if you travel a lot and need to moisturise your hand and feet often, forget about carrying so many tubes of skin care products. This single product will be an answer to all your needs. 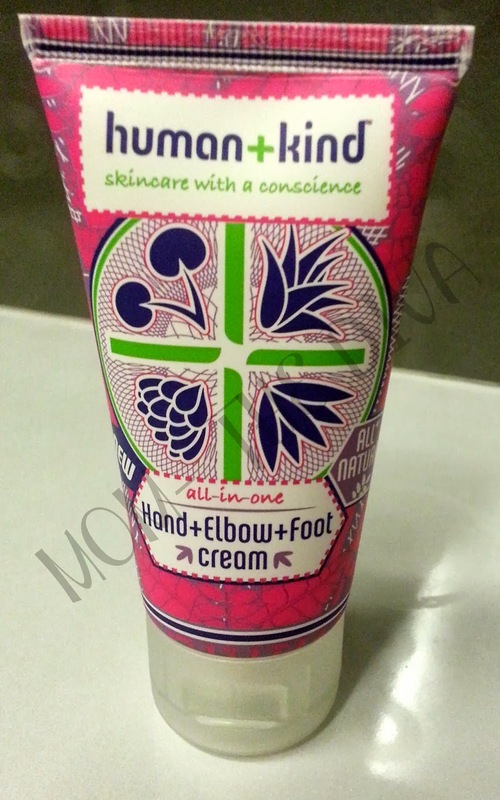 Have you tried Human+Kind All-in-one Hand+Elbow+Foot Cream? Let us know how you feel about it by posting a comment!